“Dandelion” is a 20×16 Oil paint on Exhibition Canvas. I’ve been planning this painting for a could years and just haven’t gotten around to painting it. My cousin likes to find models for me sometimes and this is taken from one of the photographs she took for me. Dandelion is understated and simple. The colors are warm and inviting. I feel happy, whimsical, and young when I look at it. When I was very little I believed I could make a wish and blow on a dandelion. Each of the little seeds that took to the breeze carried my wish with them looking for a way to make it come true. 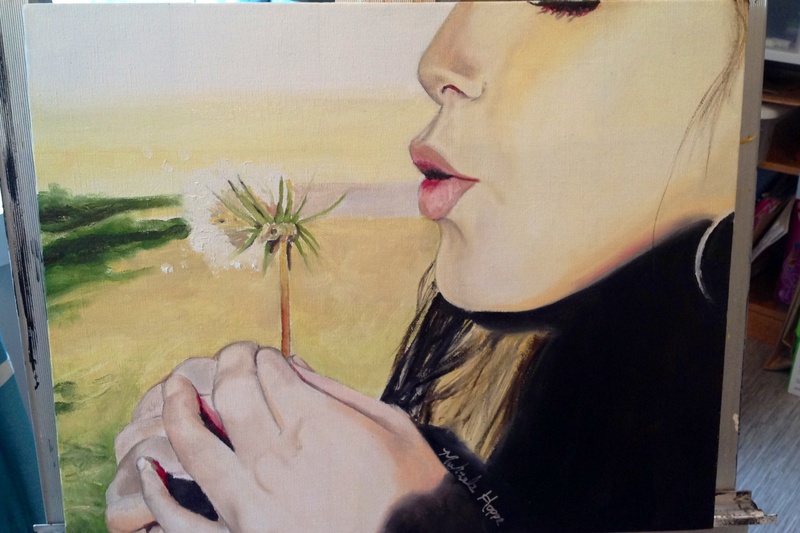 This entry was posted in Uncategorized and tagged art, art class, dandelion, female artist, oil paint, portrait painting, saskatchewan, summer, wishes by michhoppe. Bookmark the permalink.